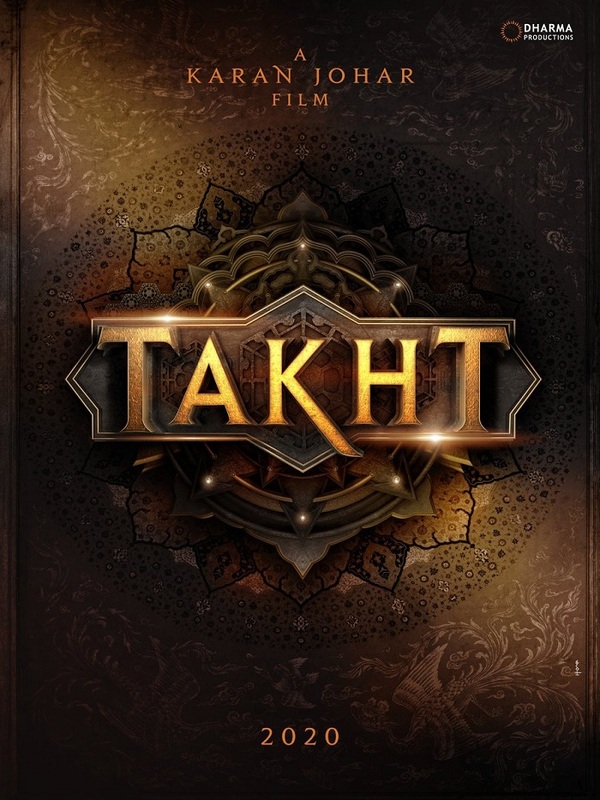 Karan Johar's next Directorial Venture is 'Takht'. This is a genuine biggie! 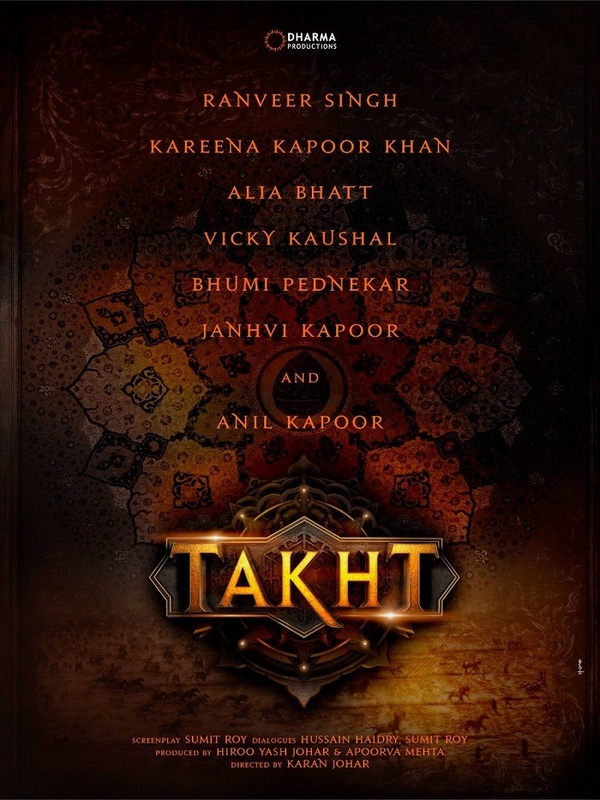 Karan Johar has announced his next directorial venture titled 'Takht' starring Ranveer Singh, Kareena Kapoor Khan, Alia Bhatt, Anil Kapoor, Vicky Kaushal, Bhumi Pednekar, Janhvi Kapoor. Film will get released on year 2020. Film is a historical period drama. Karan Johar for first time will direct a 'Multi-starrer Historical Magnum Opus.' Film is set to be the highest budgeted film ever made in Bollywood. Exact release date is not known yet and hoping that we will have update on that very soon. Dara sikoh vs Aurangjeb. Anil Kapoor will play Shahjahan. Finally Karan Johar has decided to do away with Boring, Sobbing, Family n Romantic dramas through which he bored us through that pathetic SRk and Ranbir films. Glad he finally decided to do a movie which seems like more of story oriented. Ranveer Singh being the number 1 star today was an obvious choice. His upcoming line up of films will make him an even bigger star before Takht releases. Simmbaa is a sure shot 150 cr grosser, if not more. Gully Boy and 83 should also easily cross 100 cr. ALso, Vicky Kaushal, Bhumi Pednekar and Anil Kapoor are people who are a safe bet in multi starrers as they will honestly do their job but r not great crowd pullers for solo movies. Jahnvi Kapoor is a Big Surprise for me in this Huge Cast but for me, I believe she will have a very small and probably insignificant role in the movie. She is just there to attract some of the younger school/college crowd for a period drama which they else might avoid. Mainly the movie rests on the shoulders of Ranveer, Alia and rest supporting cast wont loose much if the movie doesnt work coz they are no longer solo crowd pullers. As for Karan Johar, this is a movie which has to do more than 200 crores to ensure its a hit. I fhe goes melodramatic here, he will loose out on a great opportunity to make a name for himself which has probably gone down with every directorial venture of his. Undoubtedly his biggest challenge.